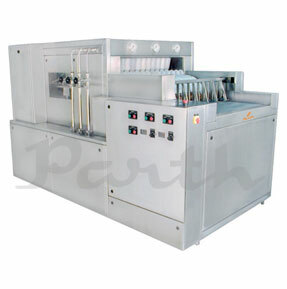 Parth Engineers & Consultant provides highly efficient variants of bottle washing machines customized to meet various needs. We offer 3 variants of High-Speed linear bottle washing machine and a single variant of Semi-Automatic Rotary bottle washing machine. 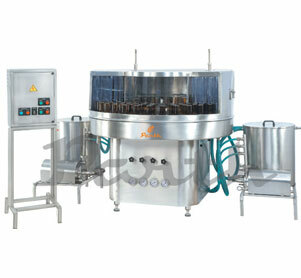 The machine for bottle cleaning performs the washing operation in a very coherent manner thus providing higher outputs. Keeping in mind with its extensive usage in industries such as pharmaceutical, chemicals, cosmetics, dairy, etc machines are manufactured using high-grade raw materials & stainless steel following the industrial norms. Each and every component of this bottle washer machine has been designed keeping the smallest of the constraints in mind thus making our product long-lasting, durable and imperishable.